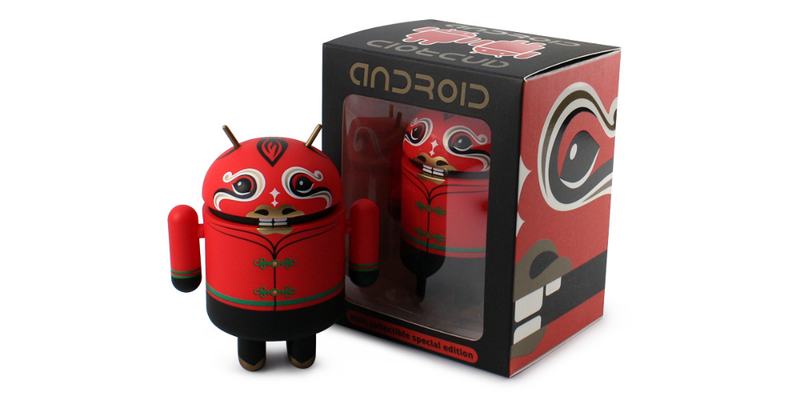 A new Android Mini from Dead Zebra received a release date and details today, titled Year of the Horse. On the Chinese zodiac, this is now the year of the horse, so as you might recall, Dead Zebra likes to pay tribute to these occasions, creating special limited edition minis. As we can see, this mini is wearing a painted-on horse mask and traditional Chinese celebratory clothing, looking quite nice. The mini is set to launch online Tuesday, January 28th at 11am EST and more at 11pm EST. Households are limited to just two of these minis, and as you might be aware, they will more than likely sell out quickly. You can purchase right here on Jan. 28 at 11am EST.